The Great Wall (film, 2016). A 2016 monster film with "PG-13" rating by Universal Pictures. Directed by Zhang Yimou. Official Trailer. 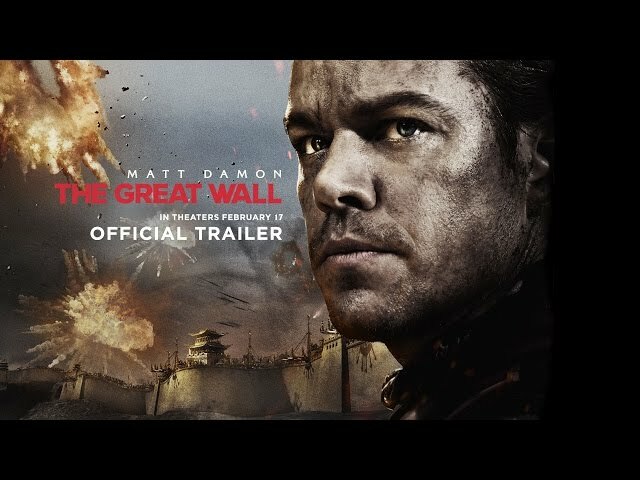 The Great Wall is a 2016 monster film directed by Zhang Yimou. 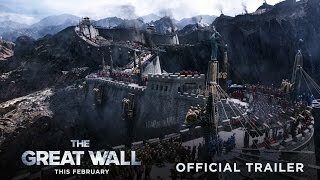 The Great Wall - Official Trailer #2 - In Theaters This February. A band of European mercenaries, including William Garin and Pero Tovar, travel to China during the reign of the Renzong Emperor, in search of the secret to gunpowder. Resting in a cave a few miles north of the Great Wall, they are attacked by a monster, leaving only William and Tovar alive. They cut off the monster's leg and bring it with them. The next day, reaching the Wall, they are taken prisoner by soldiers of the Nameless Order, led by General Shao and Strategist Wang. Principal photography of the film began on March 30, 2015, on location in Qingdao. 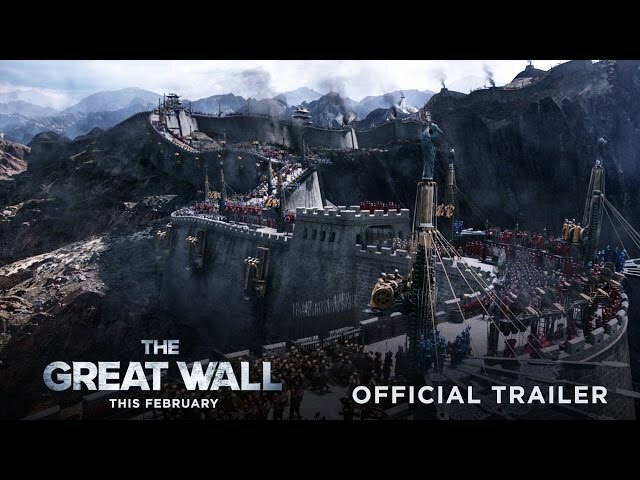 The film The Great Wall was scheduled to be released by Universal Pictures on December 6, 2016 (Beijing), on December 16, 2016 (China, People's Republic of China), on January 12, 2017 (Germany) and on February 17, 2017 (United States). The duration of the film is 103 minutes. With a budget of $150 million, the film grossed over $334.9 million. The Great Wall got average rating from critics. The audience dislikes the film either. Audiences polled by CinemaScore gave the film an average grade of "B" on a scale ranging from A+ to F.